Should homebuyers use the lender's real estate closing attorney? Should a Massachusetts Homebuyer Use Their Lender's Closing Attorney to Represent Them Too? 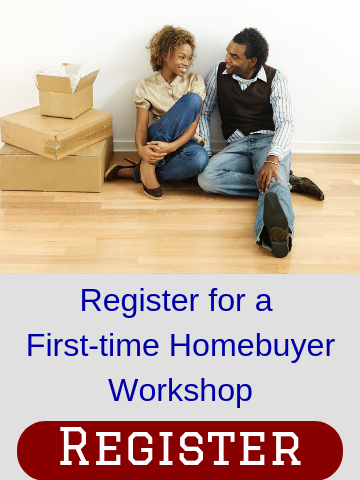 Most homebuyers that purchase a home in Massachusetts obtain a mortgage loan from a lender. The person/company that handles the closing (transfer of title) for the lender is known as the settlement agent. In Massachusetts, the practice of closing transactions for buyers and sellers when there is a home loan is considered the practice of law; therefore, the settlement agent for any real estate closing involving a lender must be conducted by a licensed attorney. That settlement agent is often called the “closing attorney.” If you're moving to Massachusetts, this part of the closing process may be different than the state you're moving from. The legal fees for the closing attorney is one of several closing costs a homebuyer is responsible for paying at closing. That closing attorney represents the lender, as (s)he is handling the paperwork that is prepared both by and for the lender. Especially with the new TRID regulations, that went into effect October 3, 2015, it is crucial to the lender that all the paperwork at the closing be accurate, disclosed and in compliance with federal regulations. For a number of reasons, Massachusetts homebuyers absolutely should have an attorney representing them during their home purchase. Depending on the lender, buyers sometimes have a choice on whether they will hire the same attorney to represent both their lender and themselves. There are several factors to consider when presented with the option of using the same attorney as your lender. 1. Convenience. In most real estate transactions, there are a lot of parties involved – sellers, buyers, listing agents, buyer agents, loan officers, processors, underwriters, home inspectors, appraisers, insurance agents … and then attorneys. Assuming the seller and buyer each have separate legal representation, then the closing attorney not only has to coordinate between the buyer and seller and their real estate agents, but also two separate attorneys, who have to synchronize their calendars for the closing. Having an attorney that is representing both the homebuyer/borrower and the lender can streamline the process and simplify communications between the various parties. 2. Potential Savings. The homebuyer pays the closing attorney as part of their closing costs. A buyer also is required to purchase lender’s title insurance, and owner’s title insurance is optional, but recommended. The closing attorney will typically receive a portion of the title insurance premium (for both the lender’s and owner’s policies) as their fee for preparing the title insurance [note: this is a different fee than for a title search, which is also a separate fee on the closing disclosure]. Because there are already several items for which the homebuyer is paying the closing attorney, some closing attorneys will discount (or even eliminate) the costs of the buyer representation part of their services if/when the homebuyer chooses the dual representation. If the closing attorney agrees to represent the homebuyer free of charge for reviewing the purchase and sale agreement and other items associated with buyer representation, the buyer can potentially save between $400 and $800. 1. Different services. Closing attorneys provide a myriad of services before, during and after a closing. Among other duties, they review and certify title, review/prepare/record the deed, obtain and payoff existing mortgages, order and payoff municipal bills and prorated taxes, collect smoke/CO detector certificates, prepare all the documents to be signed at closing, including seller certificates and declarations, and track mortgage discharges. These are all services done after the contract and/or purchase and sale agreement has been negotiated and signed by the parties. In Massachusetts, real estate transactions are more complicated than in most states. First, there are typically two contacts signed by the parties: a shorter offer/contract to purchase, which is later replaced by the more comprehensive purchase and sale agreement. Second, unlike many areas, there is no statewide or uniform “standard form” purchase and sale agreement (“P&S”). Just the opposite is true. There are competing P&S forms, which can be quite different, and very often attorneys and real estate offices use word processing versions of these P&S forms, which have been altered or modified in multiple ways through the years. The effect is that for most real estate transactions, reviewing/negotiating the P&S, which is typically the most important service that a buyer’s attorney does, is much more substantial than just reviewing a form P&S and perhaps adding a few boilerplate provisions. Almost any experienced real estate attorney would agree that whatever the version, a Massachusetts standard form P&S heavily favors the seller’s interests, and a buyer’s attorney must insist on adding a number of provisions just to level the playing field given the inequity of the P&S forms. Also, every real estate transaction is unique, and often the standard form P&S does not encompass all the terms necessary to protect the a homebuyer’s interests. Though most closing attorneys certainly have the expertise to negotiate a P&S on behalf of their Buyers, if they are also doing all the typical closing attorney services discussed above and then adding the P&S review/negotiation, it’s fair to question how much time and energy they are able to spend on the P&S negotiation, particularly if they are discounting those services or offering such services for free in lieu of their closing attorney work. This issue is compounded if the attorney has to review/explain condominium documents or prepare other legal documents, as any particular transaction might require. Free legal representation isn't worth it, if the real estate lawyer doesn't provide the comprehensive services a homebuyer needs. Homebuyers should ask the lender's attorney questions about his or her representation before agreeing to the dual representation. 2. Review of closing documents. In addition to reviewing/negotiating the P&S, another important service a buyer’s attorney performs is to review the closing documents prepared by the closing attorney. Naturally, neither the lender nor the closing attorney’s office would purposefully prepare closing documents that are not accurate, but there is human error, and one can make an argument that a third party trained to represent the buyer’s interest is going to be more likely to catch an error in the closing documents when they are not the person who prepared those documents. 3. Conflict of Interest. It is fair to say that in most real estate transactions, the buyer’s interests and the lender’s interests are aligned – both want the transaction to close in compliance with the agreed-upon terms; e.g., clean marketable title, etc. and smoothly. With that being said, the lender is absolutely a separate party to a real estate transaction. The note is a contract for the homebuyer/borrower to repay the loan based on the legal terms of the note. And the mortgage is a security instrument that a borrower gives to the lender allowing it to foreclose on the property, if the covenants and agreements in the note and mortgage are not met. The reason why a buyer has to pay for the closing attorney is to make sure that the lender’s legal rights are protected above all others. 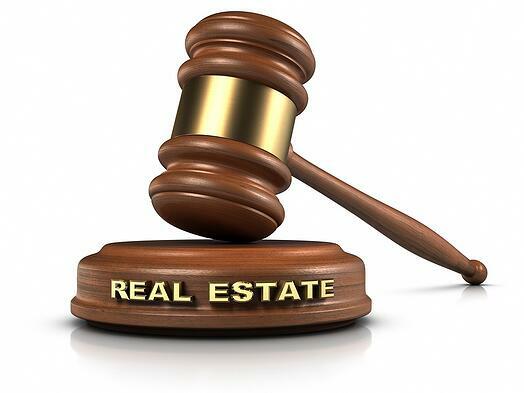 Attorney’s Rules of Professional Conduct generally forbid an attorney from representing multiple parties in the same transaction, but it is allowed in real estate transactions [or at least, it has never been ruled to be prohibited]. There are those that state that a lender is not really a separate party to the transaction because there are no competing interests; however, there are definitely situations that can arise when an attorney providing dual representation might discover information about a buyer or property that s/he would be required to divulge to the lender. At the same time, an attorney that provides that information to the lender might violate his or her duty of confidentiality to the buyer client. It should be noted that despite the potential disadvantages, the vast majority of homebuyers in Massachusetts choose the lender's attorney to also provide buyer representation. Considering the above, a homebuyer should carefully weigh the pro’s and con’s in considering whether having the same attorney representing both them and their lender is in their best interest. Above all else, the homebuyer should choose a competent and experienced real estate attorney, and they should be comfortable with the specific attorney that will provide the dual representation. NOTE: The preceding article is not legal advice, and consumers should not rely on it as such. Consumers should seek the advice of an attorney licensed in the jurisdiction where the property is located.